The end of KS3 Attainment Levels was greeted with huge reticence from secondary schools and created a real sense of panic amongst many teachers. Why would a government take away the sort of nationally standardised measurement by which successive administrations had set out their stall for so long? Naturally, many schools were left feeling extremely insecure about being told to go away and develop their own assessment methods without guidance. Two years on from the DfE’s decision to remove these, there remains widespread confusion and a lack of consistency in secondary schools’ response to life after levels. 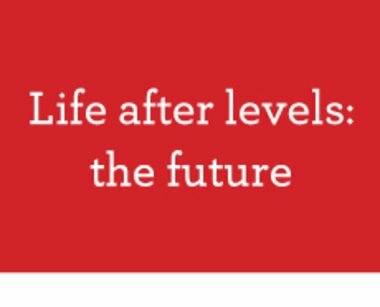 This is the headline of a new insight report, Life after levels – what next?, commissioned by education publishing company Scholastic, which explores how the secondary teaching profession has met the need to develop its own methods for assessment and tracking pupil progress at KS3. The Scholastic research, which is based on in-depth interviews with multi-academy trust and school leaders as well as a survey of 122 secondary schools, found that whilst schools are generally united in their view that what levels had become was not fit for purpose and change was needed, there has been little guidance for schools in identifying alternatives to levels and what they report to pupils, parents and regulators. The reality is that there is no definitive approach that schools are taking in response – some have developed their own systems, many are continuing with levels under other names, whilst others are still unsure of their plan. As a consequence, the lack of a standard system within schools and between schools is expected to create problems around national benchmarking and for pupils and teachers moving between schools’ operating different systems. The issues of effective entry baseline assessment into Year 7 and lack of clarity around new GCSE grades are also cited as major related concerns for secondary schools, which are hampering their efforts to find a definitive solution at KS3. This report seems to be one of the few tangible pieces of research which provides clear guidance on where schools need support in delivery going forward, and from what we hear from the teaching profession this is much needed. To some extent, however, the problems are simply not being reported, and because of the perceived lack of guidance schools are spending an awful lot of time and money on trying to find a solution; causing a great deal of frustration among time-pressed teachers. From my own experience, schools were left with three options on the table: stick with levels for as long as possible, prepare to purchase an ‘off the shelf’ system that was being built by a third party, or devise an entirely new system from scratch. At Darrick Wood School we have designed and developed what is now STEPS (Strategic Targets for Educational Progress and Success). This system has been published by Scholastic for application in other schools, and its huge value is that it measures progress and assessment simultaneously from Years 7-9. The cornerstone of STEPS is a simple grid for each subject and a progressive set of attainment targets that present challenge at all levels of ability throughout KS3. The grids are broken down into a template of nine ‘steps’ across four, five or six different subject strands. This level of detail means pupils can make fine levels of progress and teachers can create incremental, personalised targets based on assessment in KS3. ‘Expected’ progress is the equivalent to movement of one whole step in each year of KS3. I have occasionally referred to it in presentations and workshops as ‘APP Lite’, accompanied by the adapted graphic of a well-known drink(! ), but the reality is that this system has gone far beyond that to provide something much more wide-ranging, intuitive and meaningful. At the beginning of the first term in Year 7, all pupils undertake initial baseline testing in the form of a written test or practical assessment, depending on the subject in question. When combined with other available cognitive and historical data, this subject-specific testing gives every pupil a personalised entry point into each strand. Through ongoing formative assessment, the pupils’ progression can then be measured over the course of KS3, with an opportunity to report on both attainment and progress regularly. Constant exposure to the ‘big picture’ is achieved by promoting the use of STEPS in class and more widely to parents. An initial pilot began in September 2015 for Year 7 pupils and, at a presentation to parents in January of the following year, the positive feedback was overwhelming. Our system provides a very simple overview of where a pupil is at and what they need to do to improve. We have found that parents have loved the simplicity of a quick check via the ‘Step Point’ score but also the level of detail that is there if they want to see it. They have realised the potential of having several ready-made targets and have appreciated the level of detail in each ‘Step Grid’ that the breakdown of a whole key stage provides them. Teachers, too, have reported significant benefits. Colleagues are relishing the advantages that such a focused approach can bring and, as they have learnt the system, have really come to value its structure. Many have commented on the new-found focus to parental meetings and the guidance and support it gives them during the report writing process. Subject leaders have started to analyse the results from each data collection window to identify strands of their subject which the pupils are finding more difficult and/or which teachers are finding more difficult to deliver. It has also increased support for students. The level of detail has helped to raise an early warning to individual pupils, as well as teaching groups who are seemingly making unusual rates of progress. It has allowed them to put in place support for pupils and/or groups and in some cases additional training for teachers. What schools are looking for is confidence that any new system will not disappear overnight. As teachers, we don’t want to be changing systems again in five years’ time – we are looking for security, and we feel that this is something STEPS provides in abundance. We have shown that our system is effective – it measures progress and assessment simultaneously, and creates easily understandable data and a structure for teaching. It also ultimately saves time. There is clearly initial work to be done in getting to grips with the system, which is normal, but once that time investment has been made, the return is huge. Finally, it is completely flexible and adaptable, so schools can adapt it for their own purposes and individual needs. The reality is that whatever the ultimate answer is to ‘life after levels’, including our own solution at Darrick Wood, we will not have a true picture about whether any of these are truly successful until pupils have gone through the new system and completed their GCSEs. However, for schools, an effective method of assessment at KS3 should incorporate four key principles: accurate baseline data; purposeful and valid data; simple and clear targets for pupils; and consistent reporting across all subjects. 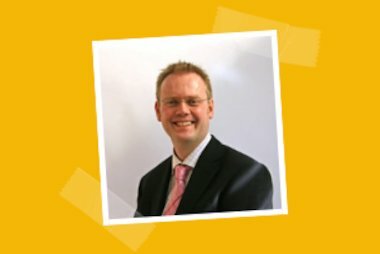 Martin Smith is Assistant Headteacher at Darrick Wood School in Orpington, Kent. 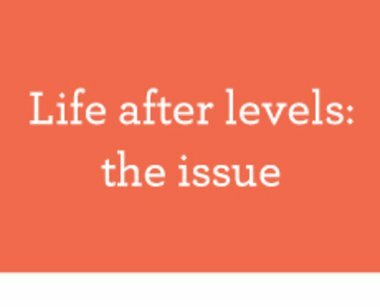 The full Life after levels – what next? report can be downloaded here. Welcome to “‘Life after levels – what next?’, our research and insight report into how schools are delivering effective assessment and tracking pupil progress at Key Stage 3 following the end of attainment levels.